Produced by BBI International, the 2019 International Biomass Conference & Expo is currently accepting nominations for the Groundbreaker of the Year Award and the Excellence in Bioenergy Award. These awards are designed to help recognize those individuals and companies who have contributed and helped build the bioenergy industry. In addition, the awards will reach out to and encourage the next generation of leaders in the industry. Significant quantities of money and energy must be invested into a bioenergy project before construction can begin. Companies and organizations that reach the groundbreaking stage represent the minority of potential bioenergy projects. The dedication and perseverance needed to navigate design, funding, permitting, purchase agreements and community acceptance indicates extreme aptitude worthy of acknowledgement. The Groundbreaker of the Year Award recognizes the company or organization that has significantly advanced the bioenergy industry by breaking ground and making meaningful headway on a commercial scale biomass-to-energy project. Nomination Deadline is February 8, 2019. Winners will be announced during the General Session on Tuesday, March 19th. If you have questions please contact us at service@bbiinternational.com. Dynamic leaders in industry, academia and public policy are fundamental to the growth of the bioenergy industry. Numerous hurdles obstruct advancement, and without these individuals’ efforts, the bioenergy industry would not be where it is today. 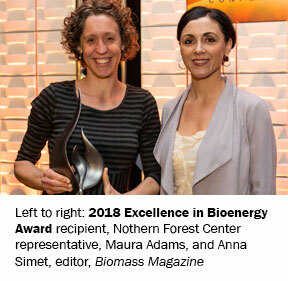 The Excellence in Bioenergy Award recognizes the individual whose drive and effort to clear financial, technological, or political hurdles has had the greatest impact on economic sustainability and environmental prudency over the past year.